Hotel Sant'Angelo, Naples. 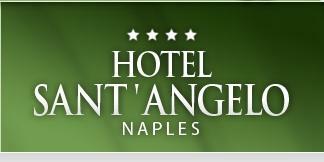 Sant'Angelo Hotel Naples. The Hotel Sant'Angelo is an elegant and high-class structure, completely provided with the most modern technologies, perfect in order to welcome different kind of stay, both for business or pleasure trips, long or short stay. The hotel is completed with common areas that reflect the style, which characterizes the whole structure, a high elegance, class and welcome guaranteed also by a professional and high-qualified staff. 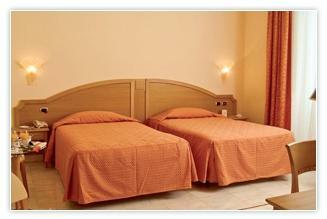 The hotel is a perfect reference point in order to discover the numerous treasures that Naples can offer. Moreover, it offers also excellent quality at advantageous prices. In the morning, you can start your day with the right energy thanks to our delicious products of the abundant buffet breakfast, while in the evening you can taste appetizing dishes proposed by our restaurant, which offers both the typical local cuisine as well as the international one. For your relaxing moments, there is the bar of the hall and the nearby living room, which represent the ideal places where you can read newspaper, sip a drink, enjoy a break, meet your friends or organize a business meeting.